Pioneers in the industry, we offer water tender, foam tender, fire truck and multipurpose fire fighting vehicle from India. 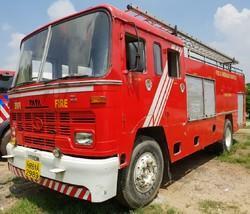 Water tender consist of Water Tank having different capacity and equipped with Low and High Pressure pump. Requsite accessories are also assembled with the Water Tender like High Pressure Hose Reel, Aqua Jet Monitor etc. 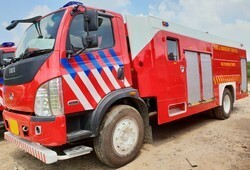 Multipurpose fire fighting vehicle consist of Water Tank, Foam Tank, in which the capacity of both depends upon the chassis on which the Fabrication would take place. 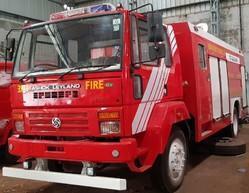 we fabricate the Multipurpose Fire Fighting Vehicle as per the Specification given in the Indian Standards.